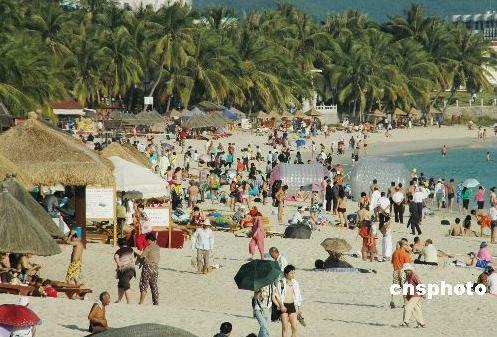 Sanya received 700,000 tourists during 2012 Spring Festival holiday, which tensions the local supply-demand relations. The concept of tourists “comfort level” should gain more and more attentions like tourists satisfaction rate, said the director general of the National Tourism Administration Shao Qiwei when he was speaking of Sanya seafood restaurant rip-off. “We will not shift the blame and responsibility. The event is related to many aspects such as the Business Administration, price of commodities, management of restaurants and the surging number of tourists.” Shao Qiwei said the National Tourism Administration is uniting with local governments to dispose this kind of affairs. Dealing with these kind of problems needs comprehensive methods. Shao Qiwei stressed the importance of local tourism planning. He said the “comfort level” of tourists is very important besides the satisfaction rate.